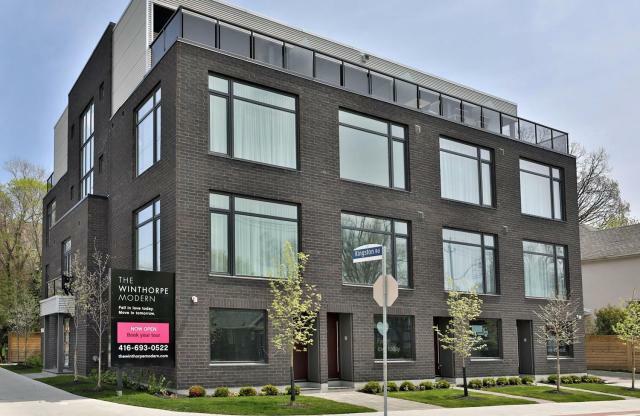 The Winthorpe Modern consists of eight custom crafted homes in the Beaches neighbourhood. Designed for the sophisticated homeowner without compromise, these exquisite townhomes offer ten foot ceilings on the main floors, private garages with direct access to your foyer and rooftop terraces with stunning lake and city views. Hotel inspired bathrooms, gracious room dimensions and floating staircases are sure to evoke an emotional reaction from your very first step.